People with good reputation in very important markets and market niches are called micro-influencers. They usually have less than 10,000 followers. However, they have a significant impact on a small market. Since they are experts in their respective areas, their voice is important to the audience to which they provide their service. Companies can directly address small segments and initiate purchasing decisions with the help of micro-influencers. Combining the strength of 20-30 micro-influencers, companies can create a successful influencer marketing campaign without spending too much. On the other hand, the more brands invest in influencer marketing, the greater demand for tracking the success of their campaigns becomes. There are a number of tools available in the market that help not only track ROI of influencer engagements, but also to identify the right influencers for a particular brand. In 2019, UTM parameters for monitoring ROI from influencer marketing will be of key importance. This means marking any incoming links to your website that you give to influencers as a CTA. Showing sources, media, and names will help track (in Google Analytics) from which specific campaign the traffic to your website came. 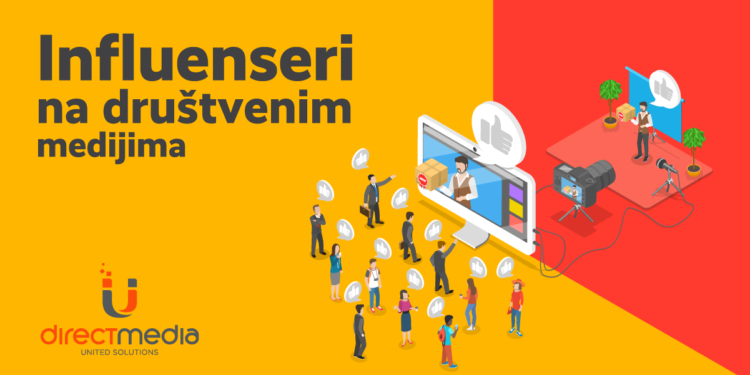 Although digital campaigns in Serbia are increasingly moving to campaigns where the client pays ads per performance, rather than awareness-raising campaigns, social media influencers are mostly engaged in awareness-raising campaigns (in contrast to the world trend), and most advertisers only measure the number of impressions. Since the Serbian market is still small, and prices are relatively low, it allows us to engage leading influencers at a reasonable price. There are two types of influencers in Serbia: Instagram and YouTube influencers. The most popular influencers on Instagram are girls with content related to fashion and beauty – Zorannah (905,000 followers), Marija Žeželj (649,000 followers), Jana Dačović (619,000 followers), Lea Stanković (388,000 followers) etc. On YouTube on the other hand, the most popular channelrs are those for gaming and pranks: Mudja (1.3 million subscribers), Baka Prase (916,000 subscribers), Stuberi (720,000), Djota (611,000), Yasserstain (575,000) etc. Social media are seeing a serious drop in active daily users globally. In August 2018, Snap, Snapchat’s parent company, reported a loss of 3 million active daily users in the second quarter compared to the beginning of the year. This was the first time since the company’s IPO in early 2017 that it reported a drop in the number of users. Snap’s report followed similar trends at Facebook and Twitter. In July 2018, Facebook revealed that their number of users in the United States was the same as at the beginning of the year, and that the number of users in Europe fell during the same period, although the total number of users grew. Twitter, which has been trying to increase interest for its platform for years, also said at the end of July that monthly active users had dropped by one million since the beginning of the year. But in Serbia, social media are at their highest peak – Facebook has almost 3.3 million active daily users, out of 4.2 million Internet users in Serbia (according to Gemius)! Instagram had a 36% increase in Serbia in 2018, mainly among the male population, and reached about 2 million active users. YouTube has 3.5 million active users, which is almost half of the total population, according to Direct Media United Solutions. See other media trends for 2019 here.